Here comes another review I wanted to do in quite a while now. 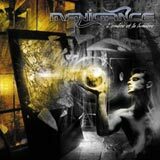 Manigance, the amazing French Power Prog metal band, and the best French metal band with Heavenly as far as I'm concerned. They are back with their fourth opus, called L'ombre et la Lumiere (the shadow and the light). If you know Manigance at all you know they can't deliver a bad album (at least not until now) and this fourth album is no exception. The quality of their songwriting is still as strong as always, and there is no filler in this album. There are a bunch of killer songs that stand out so strongly over the rest, that they make the rest sound ALMOST inferior. But they're not, all songs in this album could be consider killer songs but there are a few tracks that are simply out of this world. Amongst them, the title track, L'ombre et La Lumiere is simply the best song of 2006 as far as I'm concerned, its fast, deadly melodic, with killer melodic riffs and a chorus to kill all other choruses :) ! The fast riffs in the verse transport you to the building bridge that flows perfectly over the amazing chorus ! "L'ombre est ma lumière, l'antité de mon univers..." (Shadow is my light, the entity of my universe...). This song may very well be Manigance best song to date. What amazes me with Manigance is how everything falls into place so perfectly, how the keys perfectly enhances the strong guitar work, the amazing vocals and perfect drumming and the incredible solos, breaks, and the perfect songwriting. This band has a very specific sound and they don't sound like anyone else (except old school Dream Theater at times). Once you listen to a song, you can immediatly say "Hey that's Manigance !". And in today's crowded scene, I believe this is something special that Manigance have their own identity. They're also known to make long to very long songs, progressive by nature, with long solo breaks. You will not find a song under 5 minutes with Manigance. And while L'Ombre et la Lumiere only have two 7+ minutes songs (including the title track) the songs all seem long and complete and once its finished you feel fully satisfied. For those of you who don't know this band, note that they don't use English in their songs (except on covers), and therefor some people might not like the French lyrics. Having been raised and spoke French as my first language, it does not bother me the least, and I actually love the fact that they sing in French (it helps their unique identity). The only problem (it actually isn't one) with this album is the killer songs are SO killer, that they make shadow for the other excellent songs contained in this album. In fact I can safely all songs are killer songs (though the balad La Force Des Souvenirs doesn't do much for me), but three of them stand out so much with so much panache and explosive melodic fury that it makes you want to listen to these over and over again :). Theses songs are L'Ombre et La Lumiere, La Sentinelle & Privilège. The last track, Labyrithe is an awesome instrumental track as well. 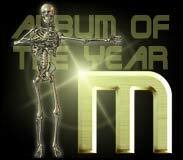 Definitely one of the best album for 2006, which is why its getting my Album Of The Year award, but please note that this is for 2006, even if we're in 2007 already. Last but not least, excellent album artcover done by Mattias Noren. The fourth album of Manigance confirms what I thought from the first time I listened to Ange Et Demon (which to this day remains my favorite album from Manigance), this band is simply awesome, unique and definitely a very talented band. Their unique blend of Power and Prog metal is truly delectable. This band never seize to amaze me and I'm already looking forward to listen to their next opus. Two thumbs up on the amazing fourth album !